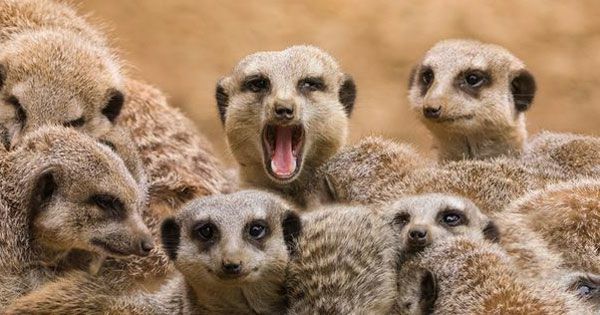 Meerkats have excellent eyesight, sense of smell and hearing. Meerkats mate during rainy season and have few litters each year. Female gives birth to 2-5 pups. They are hairless, blind and their ears are closed. Pups stay in the burrow with their mother couple of weeks, until they become ready to eat the solid food.